Hyundai is recalling certain model year 2013 front wheel drive Santa Fe Sport vehicles manufactured July 13, 2012, through March 12, 2013; and equipped with 2.4 liter engines. Due to a manufacturing issue, the right front axle shaft may fracture. Got a lemon Hyundai Santa Fe? 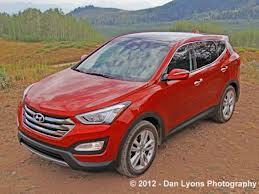 Want a new Hyundai Santa Fe or your money back?